Felting Fun is still happening at the studio. Come in and try your hand at some felting fun before the season is over for another year. 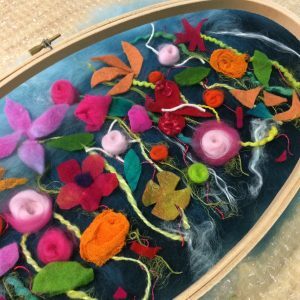 Felting classes are a lot of fun and best thing is anyone can do it. 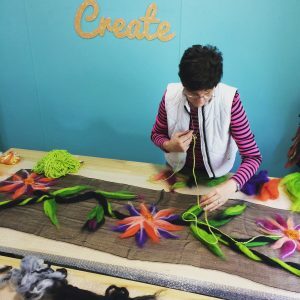 Coming up this month I have Felted flowers, Felted Pods – working with resist and Painting with Wool , these are all great beginners classes. 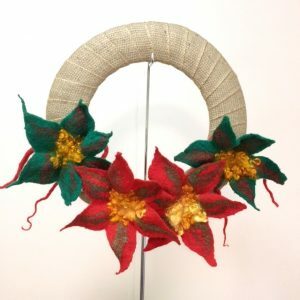 And with Christmas just around the corner I have some Felted Christmas Wreath workshops happening in both September and October. 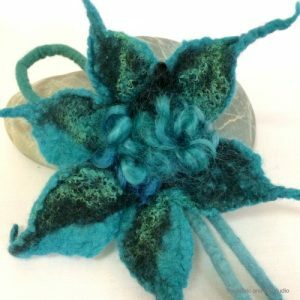 So if you have done the Felted flower class then you will be more than ready to make a Christmas Wreath. 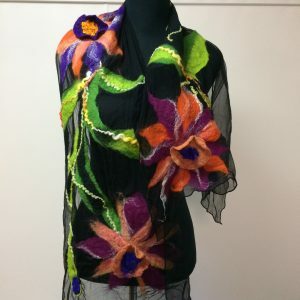 If you want to tackle something a little more challenging then why not come and make your very own unique felted scarf. 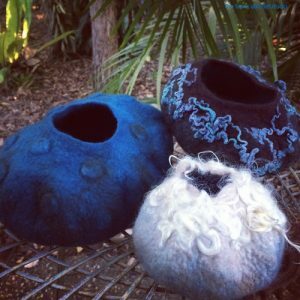 There are two techniques I teach, felted wool and Nuno felting.